The amazingly talented mountain photographer, Alexandre Buisse, was introduced to me by a talented mountaineer, Jon Gupta (who is currently braving the Snow Leopard challenge on some of the former Soviet-Union’s unpronounceable peaks). I was looking for a photographer with whom could work to get some proper ‘action shots’ in the Alps – partly to help raise awareness about my forthcoming charity challenges and party to provide evidence to myself that I was actually climbing some pretty cool stuff! 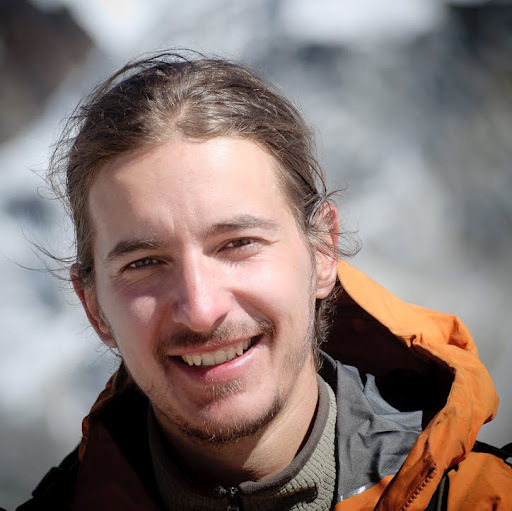 I did the legwork a-la ‘google’ to get a feel for Alexandre’s style and was immediately struck by his passion for the mountains, his interest in adventure photography and strong climbing skills - all of which shone through his stunning photography. 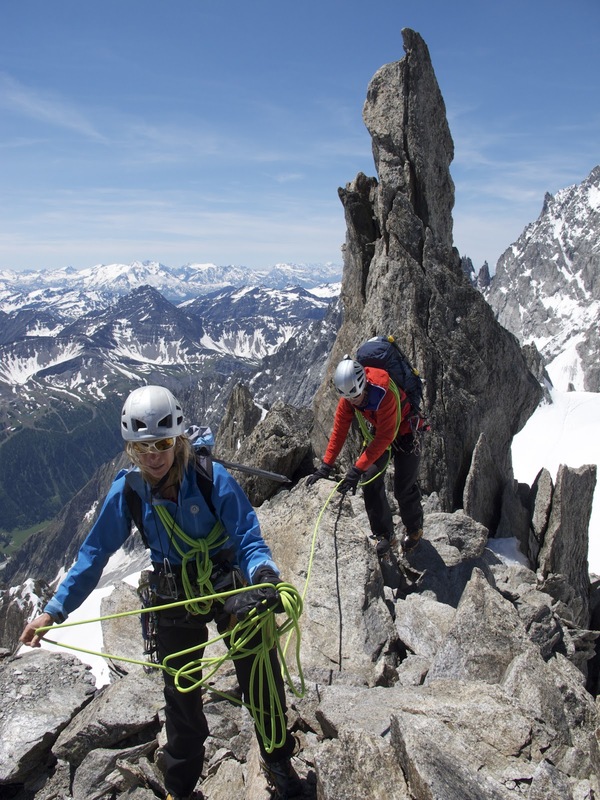 Based out of Chamonix (my ‘heaven on earth’) he managed to capture the beauty and ruggedness of the mountain landscape and the passion of those who enjoy and plan in this vertical world – whether in harness, on rope, on skis and even via paraglider! 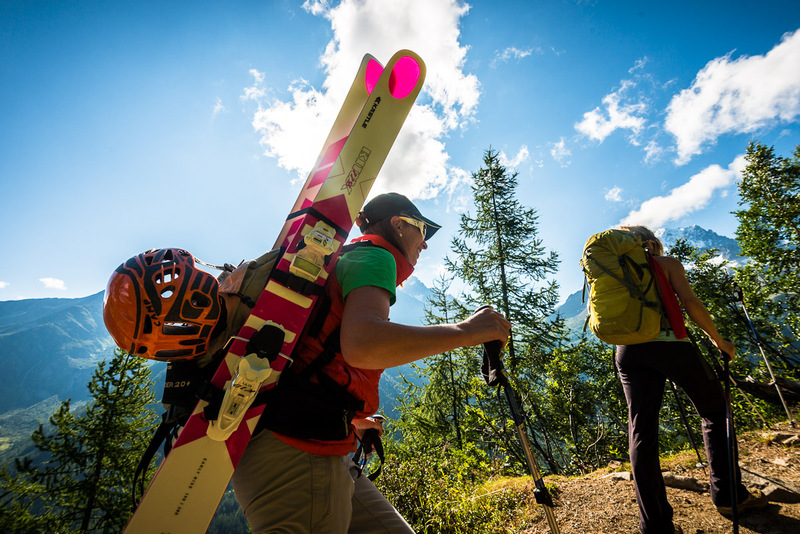 His talent has been recognised globally as his photographs have been published in several books and he has been commissioned to photograph for some of the biggest brands in the outdoor industry. ‘Work it baby!’ ‘Smashing baby’..! ‘Oh bbeee-have…!’…!...........................Ok, not quite an Austin Powers but close!! 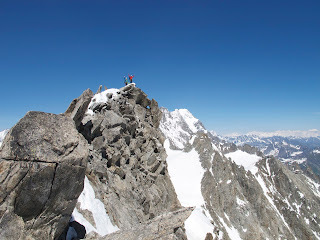 Isabelle and I started a slow and gradual plod up a giant snowy ridge and were pinching ourselves (between gasps of air!) about how lucky we were with the glorious weather and how well our clothing coordinated and contrasted against the insanely blue sky. We were more than happy to stop and pose for Alex who had climbed high up on a ridge to get some great shots. This is when disaster struck... and Alexs' camera decided to go on an epic adventure of its own – unfortunately it’s last!!! I felt terrible for Alex as we surved the damage – a completely smashed lens, beat-up body, cracked frame… Having said that, I very much admired the way that Alex handled losing his most prized possession - his 'baby' – he was calm, optimistic about the prospect of retrieving photos from the memory card and demonstrated his flexibility by offering to continue shooting the day with my Cannon G12 camera instead - and apologising profusely in the process (for something that hadn't been his fault to start with!). 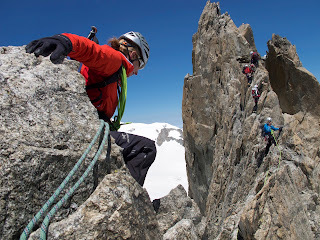 I happily obliged and we continued on to have an absolutely fantastic day on the super fun Aiguille d'Entrèves Traverse. 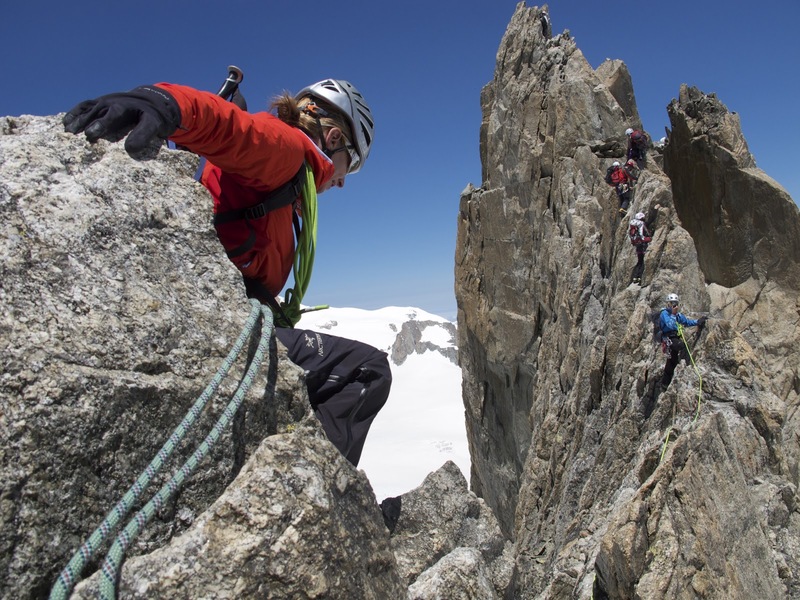 The traverse offers a fun route on exposed rock, never extreme but always interesting. The views of the Tour Ronde, the south side of Mont Blanc du Tacul and the Brenva face on Mont Blanc were exceptional and it proved to be a thoroughly enjoyable day. Alex demonstrated his fantastic eye for photography when he shared the edited G12 with me the following day – they were gorgeous and was absolutely delighted with the results. Alexandre Buisse is definitely one of the amazingly talented and inspirational people that I’ve met along the way. I admire the passion he has for the mountains and the way that he has combined his strong climbing and photography skills to capturing both the sheer beauty and power of the vertical world and the spirit of those who enjoy it. I also admire his patience, eye for safety and his extensive climbing experience.